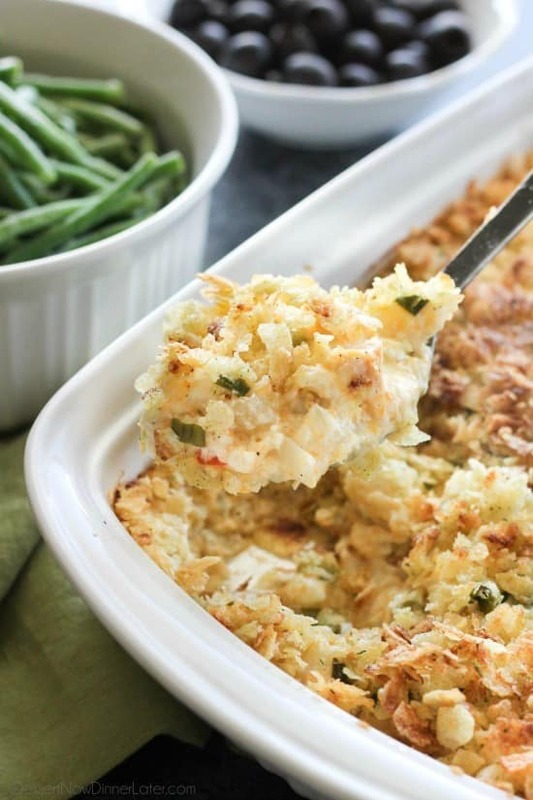 Funeral Potatoes - Dessert Now, Dinner Later! These funeral potatoes are creamy and cheesy, with sour cream, onions, extra spices, and a crunchy potato chip topping. 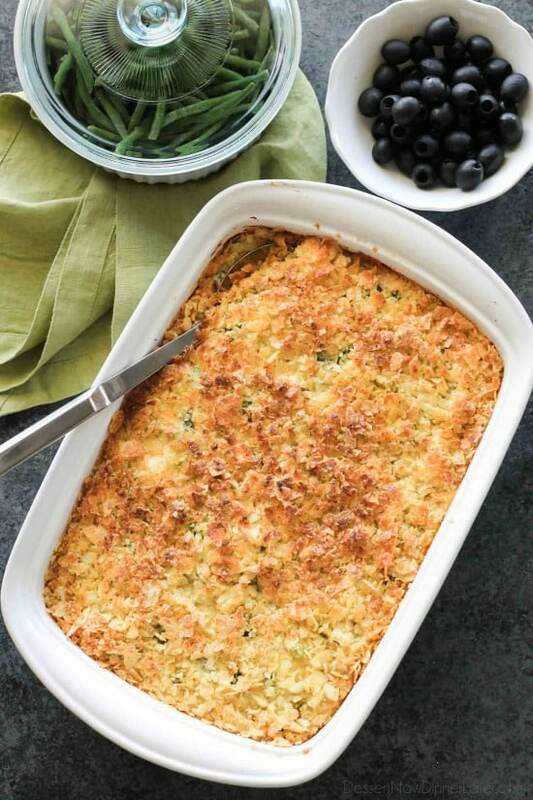 Always a hit, this cheesy potato casserole will get gobbled up quick! 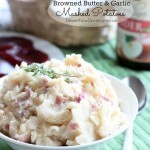 Great for potlucks and holidays. 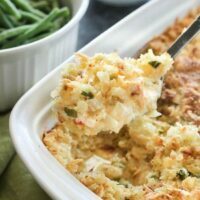 We made these funeral potatoes for Easter last month and I was super rushed taking photos, but I just HAD to share the recipe with you because it is AMAZING! If you don’t know what funeral potatoes are, it’s just a cheesy potato casserole. 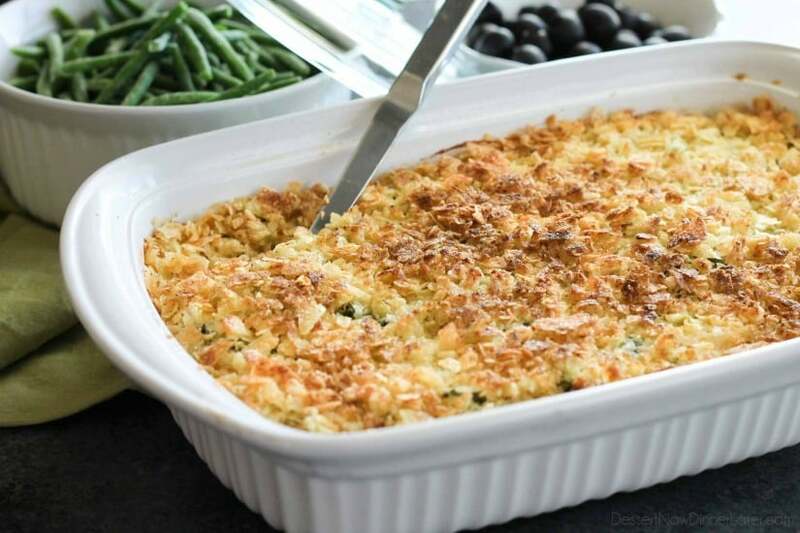 I’m not sure if it’s a Utah thing to call them “funeral potatoes” because we make them a lot for funerals, but they are a great side dish for holidays and potlucks too! I feel like my version of funeral potatoes has a leg up on the others because instead of just using a plain old diced potato or hash browns, I used O’Brien potatoes, which are diced potatoes with peppers and onions. So much more flavor! Speaking of flavor — one of my all time favorite savory combos is sour cream and onion. 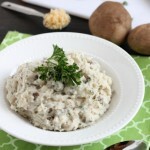 And this cheesy potato casserole is loaded with sour cream and onions of all sorts: dried onions, chives, and green onions. I used sour cream and onion potato chips on top too. Perfection! This casserole was gone in jiffy. Everyone came back for seconds, and thirds! I hope you get the chance to try it! 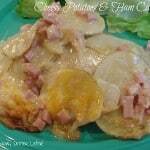 THAW potatoes in the refrigerator overnight, or on the counter for 1 hour. In a large bowl combine the cream of chicken soup, sour cream, cheese, garlic salt, pepper, onion flakes, chives, and green onion. Stir thoroughly. Fold in the thawed O'Brien potatoes. Grease a 9x13-inch baking pan with cooking spray. Spread the potato mixture inside. Cover baking dish with foil and bake for 45 minutes or until bubbly. 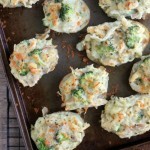 Remove foil and sprinkle with crushed potato chips. Pour melted butter over the top of the crushed chips. Return to oven and bake uncovered for an additional 10 minutes. Broil for 1-2 minutes more for a darker topping. Allow potatoes to cool for 10 minutes before serving.